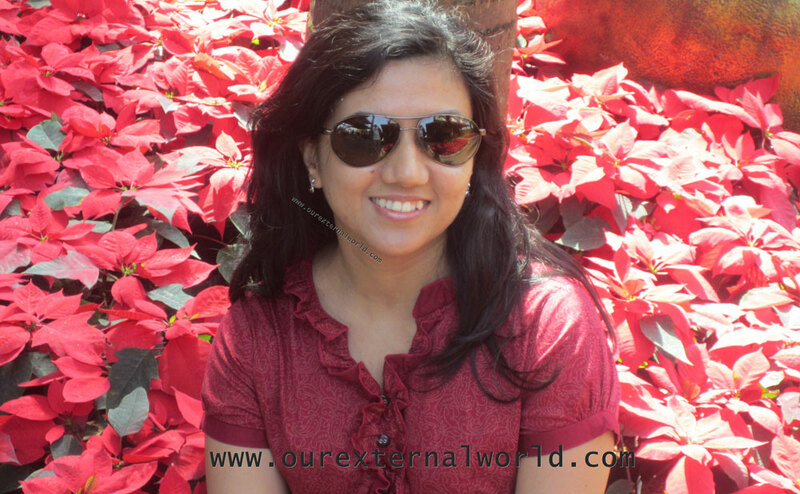 We are so excited to interview Shilpa Gandotra, who blogs on Our External World. 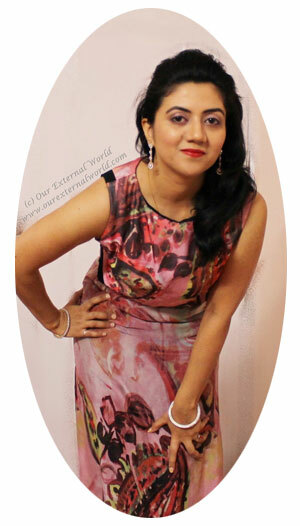 Her blog has received numerous awards including blogadda.com’s top 5 best beauty & makeup blogs in India. On her blog she reviewed the Braun Silk 7. 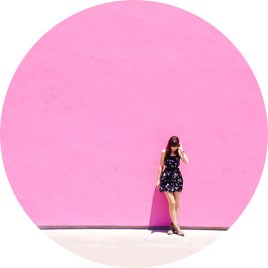 We had a chance to interview her about questions on epilation, her blog, beauty and more. 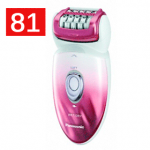 Epilator Central: Hi beautiful! Tell us about yourself and ‘Our External World’? Are you really shy? I am a software engineer by profession but I have a creative bent of mind. As a child I always enjoyed arts and crafts. Our External World started off as a small space where I would share a bit of something that I really liked, a painting I had done or some DIY. Over a span of 3 years it has grown to become a conglomerate of all things pretty. As the name goes, it’s your world and mine of all things beautiful. So while I believe that beauty is skin deep, I also believe that shining on the outside never hurt anyone! 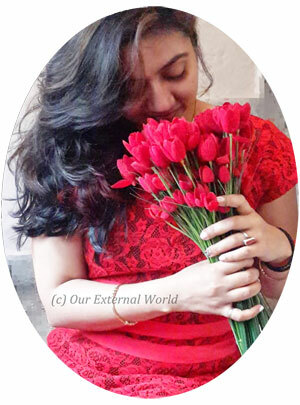 Coming to the second part of the question – yes, I am a very shy person and that is why blogging to me is the best medium of connecting with so many unknown people out there. 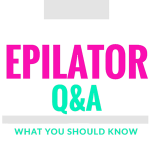 Epilator Central: How long have you been epilating? How did you get started? I have been epilating for more than 10 years now. It started off with my inquisitive nature of trying out new things. My dad was travelling to Singapore and asked me if I wanted something and the first thing that popped out of my mind was an epilator! 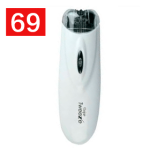 Epilator Central: Have you tried other forms of hair removal? Yes, I have tried waxing and shaving as well. And I still do adopt these other forms of hair removal only if I really have to. 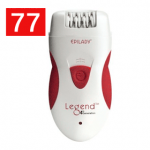 Epilator Central: Has your hair grown back lighter? Surely. With continued epilation my hair has become lighter and takes longer to grow back. As soon as I switched on the epilator the sound of it made me shut it off immediately. But then I mustered up some courage and with trembling hands gave it a try. To my surprise it did not hurt me as much as I had thought. Epilator Central: What was your first time epilating like? The first time I epilated I was really scared. As soon as I switched on the epilator the sound of it made me shut it off immediately. But then I mustered up some courage and with trembling hands gave it a try. To my surprise it did not hurt me as much as I had thought. I was used to waxing and the pain it gives when the hair gets pulled out, this was almost similar but I had control over the device. Over time I learnt a few tips of easing out any pain that I had felt. 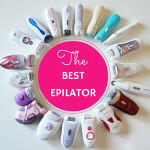 Epilator Central: What epilators have you tried? 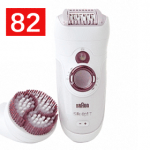 I have tried Braun Silk Epil Eversoft and the Braun Silk Epil 7 Spa series. Recently I have started using an epilator from Philips because I wanted to share another brand with my readers so that they can decide and pick one that suits their need and budget. 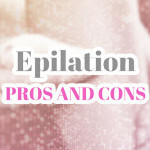 Epilator Central: Do you prefer dry epilation or wet epilation? Does wet epilation hurt less? Wet epilation surely hurts less. For any beginner wet epilation might be the way to start. But, I prefer dry epilation. The reason behind this is that I feel dry epilation is faster. I am always stranded for time and since I am used to epilating, dry epilation works much better for me. 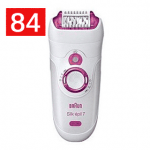 Epilator Central: How does the Philips compare to the Braun? 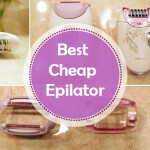 Epilator Central: Where can readers find more information about your comparison? 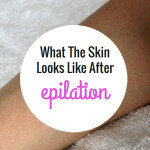 Epilator Central: What areas of your body have you epilated before? I have epilated my arms, legs and underarms. AND, I have also epilated the little moustache fuzz from the upper lip area on my face. This was the trickiest but it works quite well if you do it properly. 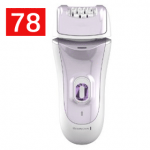 Epilator Central: How do you remove hair from your upperlip with an epilator? Some epilators come with a special head attachment that covers the blades so that only a small section is available for epilation. This is the head designed to epilate smaller areas of your skin. 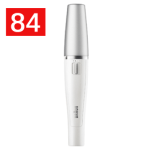 The Braun Silk 7 Spa has that attachment head which I use for the upper lip area. But again, upper lip epilation is not to be tried by people who are new to epilation. Practise on larger areas of the body like your arms and legs before moving to more delicate areas of the body. Epilator Central: Does epilating leave you smooth? Yes it does. For the first few times when your skin is getting used to the whole process, you might end up with bumpy skin but that settles down with a bit of ice rub followed by moisturization. Epilating is painful if you have never done waxing before. Otherwise you will soon get used to the whole process very soon. I know a lot of people have very sensitive skin. They might actually feel more pain. So if you are a first timer, try it on your legs. Epilator Central: Is epilating painful? How does the pain compare with waxing? Epilating is painful if you have never done waxing before. Otherwise you will soon get used to the whole process very soon. I know a lot of people have very sensitive skin. They might actually feel more pain. So if you are a first timer, try it on your legs. As compared to waxing I think the pain is similar but the good thing is that you can epilate even when the hair growth is less, which means smooth clean skin whenever you want! Epilator Central: Epilating the underarms is super painful. What is the biggest tip you have for epilating the underarms? Ah, this takes me back to the first time I tried epilation on my underarms. It is super painful. But let me tell you this – once you get used to it you won’t go back to any other method of hair removal for the underarms. The best way to epilate your underarms is right after a shower. The hair is easier to pull out and the skin is clean. Fold your elbow as if you are touching your shoulder, stretch your arm backwards so that the underarm skin is taught, and then epilate. 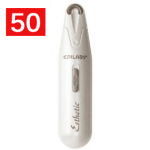 Most epilators have a special attachment to ease the pain in this area. Epilator Central: Does the underarm cap on the Braun SIlk 7 work well in the area or do you use it without that cap? The underarm cap works well in terms of reducing the pain. But, it takes slightly longer to do the area. Since I’m very used to the whole process I simply use the epilator without the cap. 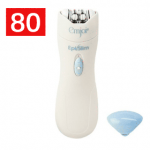 Epilator Central: Has an epilator ever pinched your skin in that area? 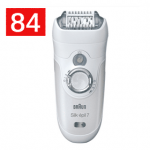 Epilator Central: What would you improve on the Braun Silk 7 Skin Spa? The only thing I really wanted to change on my Braun Silk 7 Skin Spa is the placement of the light. It is very useful in the shower when you can’t see the hair clearly when its wet and you have water all over your face but if you are trying to do your upper lip area the light doesn’t fall correctly. Yes, if your skin is very sensitive you can rub a piece of ice on your skin before you epilate. Ice numbs the skin so you feel less pain. 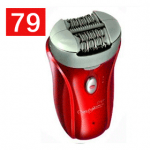 Epilator Central: Do you do anything for ingrown hair? 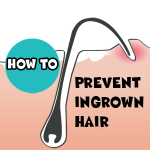 Yes, to avoid ingrown hair you must regularly exfoliate your body. Either use the special attachment like the one that comes with the Braun Silk 7 Skin Spa or simply use a loofah to scrub all over your body. Do remember that exfoliation should not be done immediately before or after epilation. Epilator Central: Do you have any tips to share? 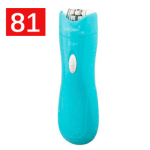 Epilator Central: Are there any other tips besides ice to remove pain? Freshly cleansed skin. If your skin has had time to soak in some water it makes the hair weak at the roots so pulling them out is easier and less painful. I am inspired by a lot of people. My parents for the amount of dedication they have in everything they take up and my siblings for their zest of life. I am inspired by any beautiful flower that I see, drops of rain on a car window, a beautiful nail polish shade that I see sitting in a shop; basically there is beauty in everything around you, you just have to be looking with the correct mindset! 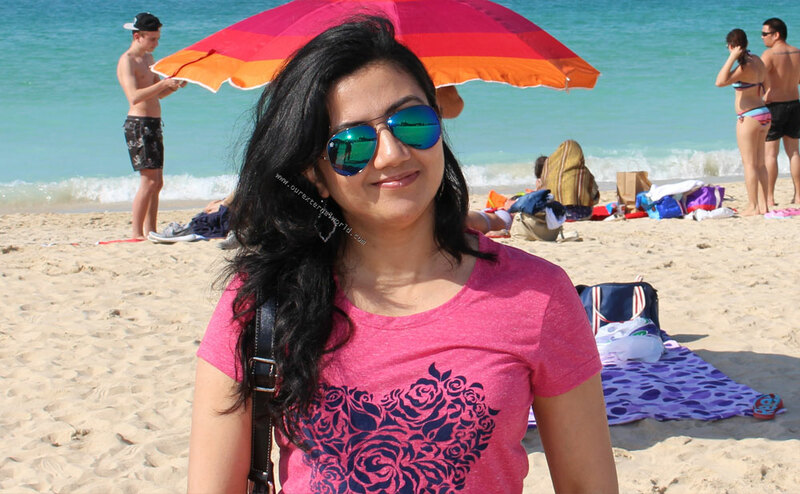 There is only one secret to beauty – stay happy! If you are happy on the inside it radiates on your skin. 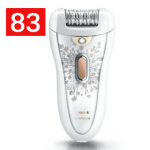 Epilator Central: Who is your favorite celebrity? I have no single favorite celebrity –I do really do admire Amitabh Bachchan for his amazing work in Hindi cinema over so many year. There are a lot of actresses from Bollywood and Hollywood whom I admire for their sense of style. 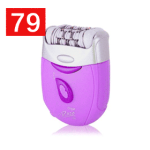 Epilator Central: We understand you love nail art? Tell us about that! I used to love painting, not those big artistic types, just as an amateur with my water colors and a brush. Slowly I lost touch and my canvas became smaller – my nails! Yes I love nail art. I am still learning the ropes but the whole process is so satisfying and I get to flaunt my art wherever I go! While I learn new techniques I try and share them on my blog so that others who wish to learn can see that everything is really simple once you break it down into simple steps. I even use my acrylic paints to paint on my nails so yes, there are no limits when it comes to nail art, you can experiment and get as creative as you like. Epilator Central: What’s your biggest beauty secret? There is only one secret to beauty – stay happy! If you are happy on the inside it radiates on your skin. One other important thing is to always clean your skin before you sleep – no makeup to be left on your skin at night no matter how tired you are. 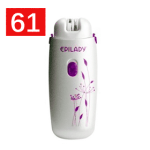 Epilator Central: Thanks so much Shilpa Gandotra. We enjoyed having you sweetie. Love you. Thank you for letting me share my views on epilation with all of you. I do hope you find this useful. 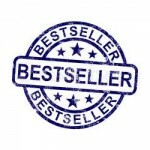 Do stop by my blog www.OurExternalWorld.com to say hello! Stay beautiful!